All evidence indicates he was white, although he may have been married to a Mohawk woman and have been adopted into that tribe. Their children would have followed their mother’s heritage and considered Mohawks. History books and maps indicate there was a small group of dwellings, called Mohawk Town, just slightly to the west of Greentown when the settlers first arrived and that Greentown, while considered a Delaware town, also included members of other tribes, including Mohawks. We can speculate that Green may also have a tribal name, but we have not found it. Stories about Green passed along in Richland and Ashland county histories are not lengthy but are specific in details: He was a Tory born in Connecticut who fought on the side of the British in the Revolutionary War. That did not leave him a sympathetic character although by the time white settlers arrived, he seems to be gone from the scene – nobody, at least in print, remembers seeing or meeting him. We don’t what Tom Green looked like — no physical descriptions — but this is a painting by Garth Dittrick of a Loyalist soldier dressed in a Butler’s Rangers uniform. from the blood-stained valley of Wyoming. After that sanguinary slaughter, Thomas Green, who had aided the fierce Mohawks to murder his countrymen, fled to the wilds of Ohio with Jelloway. Armstrong, Billy Montour, Tom Lyons and others. The village received the name of the white fiend, and was called Greentown." Others added that Green was thought to have died and be buried in Greentown. The actual residents of Greentown were never attributed as sources for all this information, although where else could it have come from? There are many on-line websites, including this one, that give a detailed account of the 1778 Wyoming Valley Massacre in what is now Bradford County Pa. A Thomas Green, who may very well be the one who fled to Ohio, is mentioned several times in connection with it. A similar incident of plunder (Scovell) on the part of Tom Green appeared in the History of Wilkes-Barré, Luzerne County, Pennsylvania by Oscar Jewell Harvey and Ernest Gray Smith, adding that he “had married a squaw.” This book also reported that a “Thomas Green (who was married to a Mohawk squaw)” served as an interpreter.for a large group of Iroquois Nation Indians who came to Wilkes-Barre in January 1777 to negotiate a treaty. As for his being a deserter from the American army, Records of the Revolutionary War, compiled by W.R.T. Saffel, counselor and agent for Revolutionary Claims in 1858, lists a Thomas Green in Capt. Rudolph Bunner’s company, Col. Arthur St. Clair’s and Col. Joseph Wood’s Pennsylvania Battalion. He enlisted on Feb. 18, 1776, and deserted the same day. 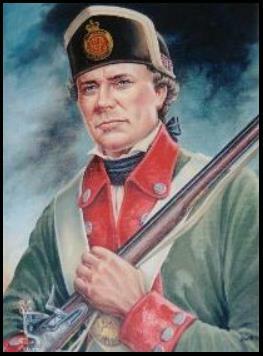 By Dec. 25, 1777, a Thomas Green shows up on the payroll of John Butler’s company, Butler’s Rangers, a colonial unit that fought on behalf of the British crown. Again, there are many websites with information on this unit, including this one, by Canadian re-enactors, who naturally take a rather different view of Loyalists than we below the border do. Many Loyalists with the surname Green are found in records, but we so far have not pinned anyone down as related to the Thomas Green of Greentown. After the war, at least a company of Butler’s Rangers also went west, was stationed at Detroit and “began operations against the Ohio frontier.” While historians speculate Green died in Ohio, it is equally likely he rejoined the British, or even his old unit, in Detroit and then moved on with other Loyalists to Canada. He may also have settled in Canada with his wife’s people. The surname Green appears often among the Mohawk Indians of Ontario. In a 1905 treaty, Jacob, Thomas and John Green were listed among the “Sachems, Chief Warriors and Principal Men of the Mohawk Indians of Tyendinaga, in the County of Hastings and Midland District of the Province of Upper Canada (Ontario).” Were they descendants of Thomas Green of Greentown? We don’t know – yet. Please email info@greentownpreservation.org with any questions or information about Thomas Green. “Capt. Thomas Steene Armstrong, chief of the Greentown Indians, whose Indian name was Pamoxet, was born in Pennsylvania, somewhere on the Susquehanna River. He was not a full- blooded Indian, but very dark skinned; the name Steene probably alluded to some white relative. “In this country he first came into notice at the treaty of Fort Industry, July 4, 1805 (His signature later was disputed by the tribe). He was probably' chief of the Turtle branch of the Lena Lenape, or Delaware tribe and located at Greentown, about the time Capt. Pipe made his residence near Mohican Johns-town. He was often visited by the Moravian missionary, Heckewelder, long before any white settlers made their appearance. “At the time these white settlers came, Capt. Armstrong appeared to be about sixty-five years of age; was a small man, slightly stooping, rather dignified and reticent, dressed in full Indian costume and appeared to advantage. He had two wives — one an old squaw, by whom he had James and Silas, and, probably, other children. He married a young squaw in 1808, by whom he had children. He frequently visited the cabin of James Copus, and made sugar there the first spring after his arrival. James and Silas often shot at a mark, with bows and arrows, with James and Wesley Copus, in the sugar camp. They also amused themselves by hopping, wrestling, and other boyish sports. Armstrong had two Indian slaves, or servants, both deaf, They were of some other tribe. He was a harmless old chief, and treated every one very kindly. The favorite hunting-ground of his tribe was in Knox County, along Owl Creek and its tributaries, and they frequently had difficulty with the early settlers of that region. In another section, that same history places him in the company of Tom Green, “Jelloway. Billy Montour Tom Lyons and others” as fleeing Pennsylvania after the Wyoming Valley Massacre in 1778 and settling at the Delaware village of Helltown on the Clear Fork in what would become Worthington Township, Richland County. Unlike the elusive Thomas Green, one of his companions, Tom Lyons, was seen almost everywhere by almost everybody in Ohio. The aged and reportedly very ugly Delaware Indian was closely associated with both Helltown and Greentown and became something of a mythical figure among the settlers — so much so that this book. 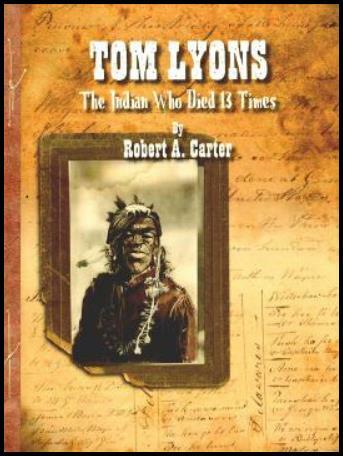 “Tom Lyons, the Indian Who Died 13 Times” was researched and written by Robert A. Carter of Mansfield, Ohio, and recently reprinted by the Greentown Preservation Association. It’s an attractive, well illustrated book, 8 1/2 by 11 inches, 60 pages, and may be ordered by sending a check or money order for $15 plus $3.50 shipping and handling. It’s unclear whether these men founded Helltown or just joined others there, but Armstrong seems to have enjoyed a high status there. It might also be speculated that, in that company, he sided with England and the Tories in the Revolutionary War, but unlike Green, we’ve found no specific reference to him in Pennsylvania. Dr. George William Hill added these details about Armstrong in his 1880 History of Ashland County: “We are inclined to the opinion that he was a chief of the Turtle tribe, and that he located at Greentown fifteen or sixteen years before Pipe made his residence near the village of Mohican Johnstown. “He was there when the first settlers of Green Township commenced the erection of their cabins, in 1808-9; and seemed to exercise a very controlling influence over the Indians of that village, among who were Delawares, Mingoes, Mohawks and Shawnees. “From the year 1800, up to 1812, Knox County furnished a favorite resort for Armstrong and his tribe, in the fall of the year, as a site for hunting. Mr. Banning, in his history of Knox County, says the Indians congregated at Greentown, at the periods mentioned above, numbering from three to five hundred. “During the summer seasons, various acts of hostility were attributed to Armstrong's band, of which they were doubtless innocent. Collisions, therefore, between the white settlers of Knox County and the Greentown Indians, became frequent. “The major part of the tribe, on the rumor of the approaching war, voluntarily left Greentown; but Armstrong and many others were loath to leave the hunting grounds of their youth --- the graves of their fathers-the homes of their race. So Major Kratzer determined that Armstrong and his people should be removed to Urbana (Piqua in other accounts) . . .
“At the time James Copus, John Coulter, and Ebenezer Rice (early settlers of Green Township), first met Armstrong, he appeared to be about sixty-five years of age; was a small man, slightly stooped, rather dignified and reticent, dressed in full Indian costume, and appeared to advantage. He had two wives; one an old squaw, by whom he had James and Silas, and probably other children. He married a young squaw about 1808, by whom he had children. “He frequently visited the first cabin of James Copus, where he made sugar the first spring after his arrival. James and Silas often shot at a mark, with bows and arrows, with James and Wesley Copus, in the sugar camp. They also amused themselves by hopping, wrestling, and other boyish sports. “Armstrong had two Indian servants or slaves, both deaf. They were of some other tribe. Armstrong appearing to be a harmless old chief, and treated his pioneer neighbors very kindly. At his request, James Copus preached a number of times to the Greentown Indians. After Douglas removed the Indians, Captain Armstrong settled with the Delawares in the Upper Sandusky region, and never returned to Greentown. The boys, James and Silas, frequently came back. The old chief was a good Indian doctor, and could talk very good English. “His descendants the Armstrongs intermarried with the Delawares and Wyandots, and finally removed, in 1828-29, west of the Mississippi. It is believed that Captain Armstrong was born in Pennsylvania, of white parents, and was captured, when quite young, and adopted by the Delawares, and becoming a leading warrior, was promoted to the office of chief. This Delaware family of Armstrongs is not to be confused with the Wyandot family, headed by Robert Armstrong, who all lived in the same general area of Ohio and sometimes had the same English first names. While Capt. Armstrong and his Greentown Indians were portrayed as polite but indifferent to attempts at converting them to Christianity, the chief was often mentioned in Moravian missionary records. From summaries of those records, he was first noted in 1802 as presenting a wampum gift, giving “friendly services” and attending his first Christian service at the Goshen mission. He continued to have a cordial relationship with the Moravians through 1810, according to the records. Specifically, a Dec. 14, 1807, entry said Armstrong was “to receive indemnity for a murder” – we don’t know whose. His death was reported on May 15, 1816, considerably later than that in Walker’s letter..
Another entry refers to an accomplishment that shows this effective leadership among his people and his influence with the federal government. On May 14, 1807, it was noted by the Moravians that he was “claiming land granted by Congress.” In 1806, Montgomery Montour, probably a nephew of the famed Indian John Montour, represented the Greentown and Jeromestown residents in a trip to Washington. D.C., to say that the Delaware signatures on the 1805 Treaty of Fort Industry were essentially forged. Congress apparently saw some merit to that since it granted in 1807 to these Indians 13 sections, more than 8,000 acres, surrounding their towns as a reserve. This land was now safe from sale to white settlers. The details of this agreement can be found in Congressional records. A June 21, 1811, letter from Armstrong, surviving in President James Madison’s papers, did not fare as well. On the brink of the War of 1812, which did not bode well for Indians in Ohio, the chief wanted to send his unnamed grandson and other tribal emissaries on a good-will visit to Washington. Madison palmed this off to his Indian agent in Piqua, Ohio, James Johnston, and there’s no evidence found of the trip being made. Five years later, after the chief’s death, his son Silas, now half chief with Capt. Pipe Jr., would indeed travel to Washington to see President James Monroe with other Delawares, Wyandots and Senecas. Unfortunately, according to newspaper accounts, he died there on Jan. 8, 1818, from an unnamed illness. He was only 23. Also noted in those stories was that these same Indians had hosted the president and served as a guard for him the previous August during Monroe’s tour through Ohio. As for the rest of Armstrong’s children, the 1817 treaty lists Zeshauau or James Armstrong, Mahawtoo or John Armstrong, Sanowdoyeasquaw or Silas Armstrong, Isaac Hill, John Hill and Tishatahoones or widow Armstrong among those receiving property in the new reservation below the Wyandot reservation at Upper Sandusky. We have found some references to persons with the surnames Armstrong and Hill in Delaware tribal records in Kansas and Oklahoma but have not yet established a connection to Chief. Armstrong of Greentown. Please email info@greentownpreservation.org with any questions or information about Capt. Armstrong.